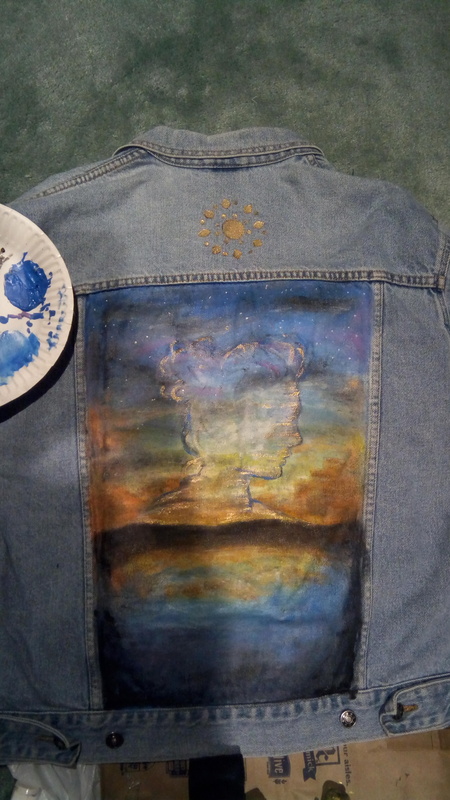 Recently, I have been inspired by statement jackets and decided to paint my own as the perfect adition to my back to school wardrobe. 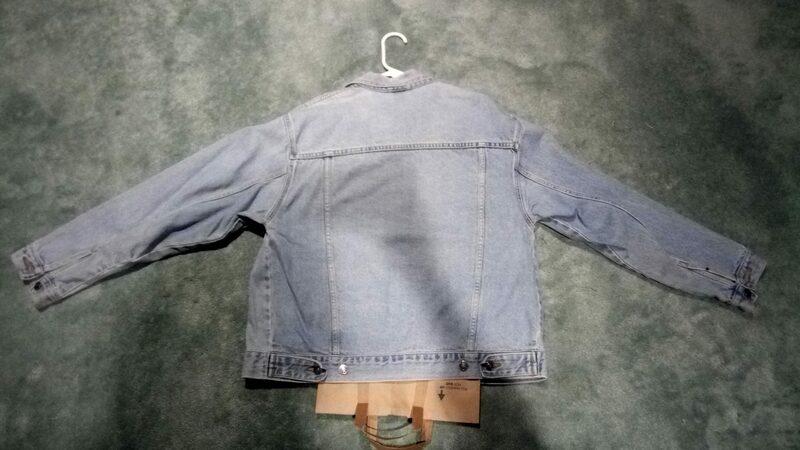 This oversized denim jacket used to be my dad’s but he let me steal it from the coat closet. 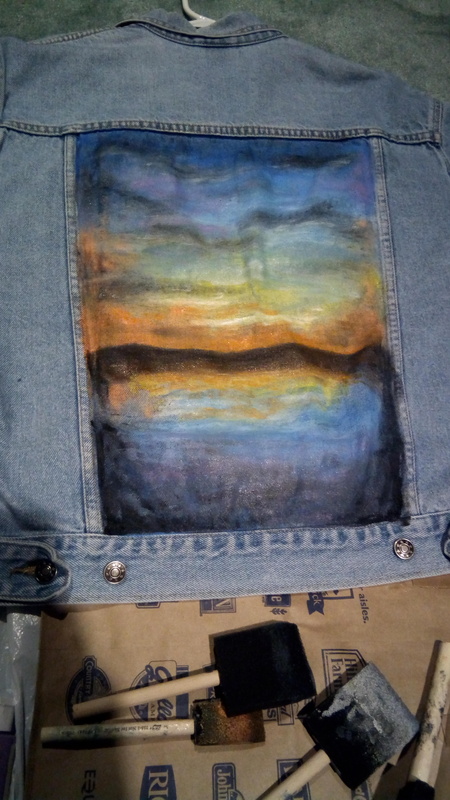 If you are looking for a denim jacket to make your own, check out your local Goodwill and don’t forget to check the guy’s section (endless oversized treasures have been found there). Trash bags, paper bag, or anything that will protect your work surface from fabric paint. 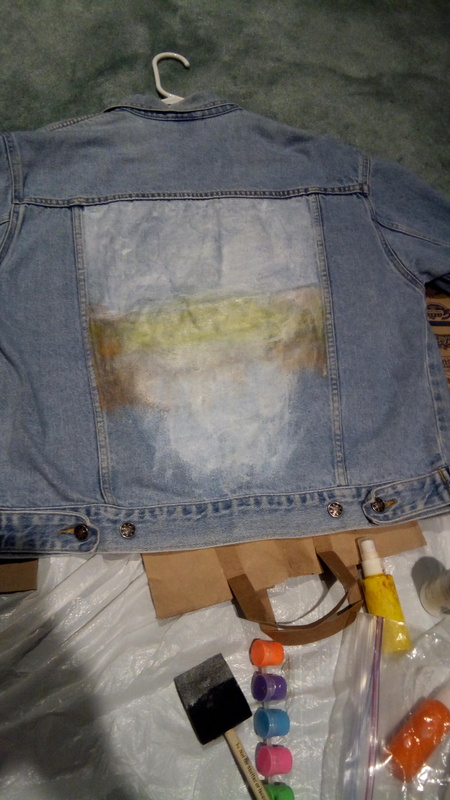 Make sure to put something inbetween the front and the back of the jacket so paint does not bleed onto the opposite side. I decided to use the lines of the sems to frame my painting. To get the colors to be very vibrant, I had to add a layer of white paint as a base. 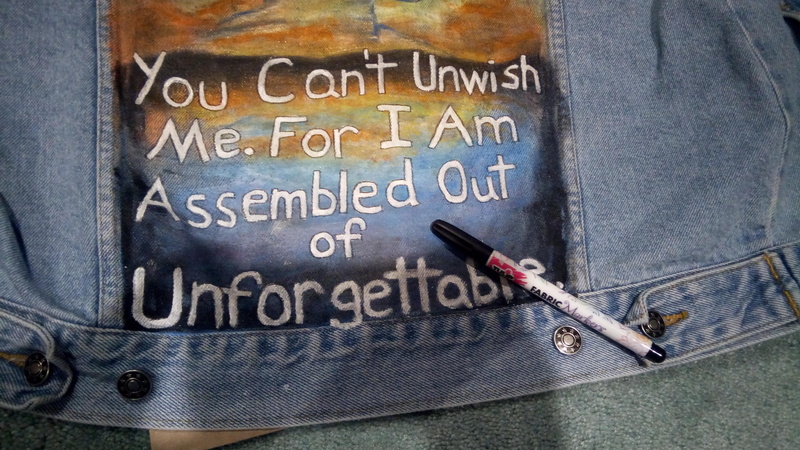 Tracing around the letters with a black fabric pen really helped them stand out and look clean around the edges. I didn’t use stencils or stamps, I just free handed the whole thing using pictures as references. 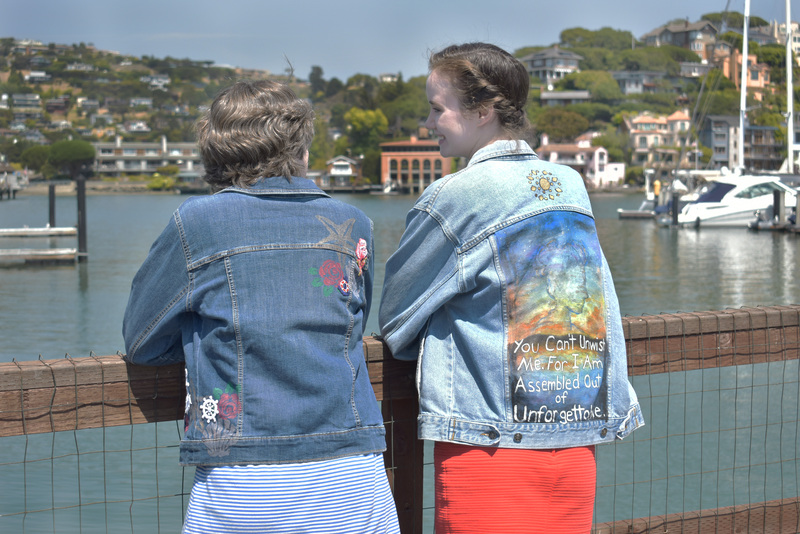 Whether you trace everything out first or just go with the flow, making a statement jacket is all about your creative process and what calls to you. Have fun with it! I certainly did! 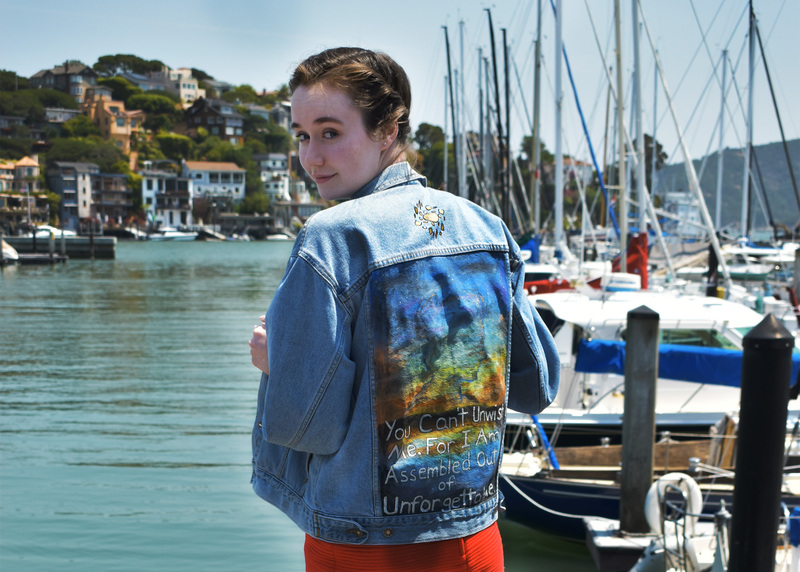 Check out Britt’s statement jacket incorporating both patches and stamping from our past blog post Basic to Trendy- Patches (found here)!